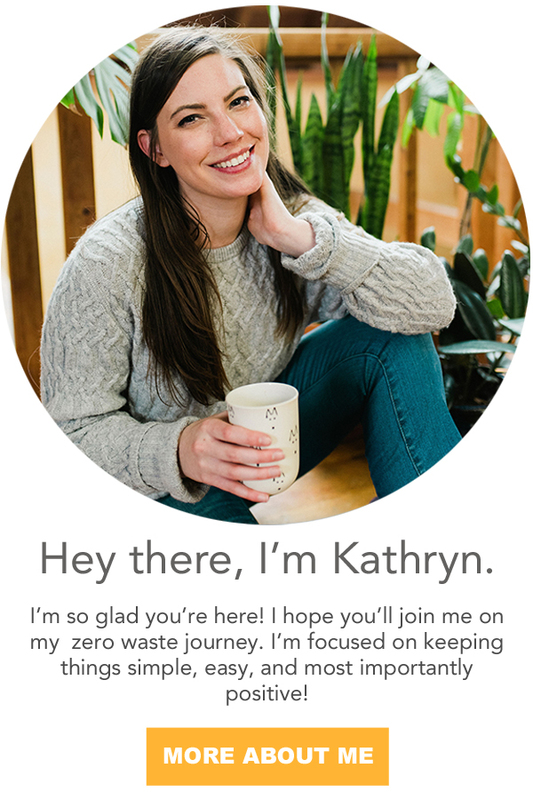 Are you ready to have a zero waste valentine's day?? Valentine's Day gets a lot of hate for being a manufactured consumeristic holiday, but I find that there's nothing better than a day to remind everyone of how much you love them with horrible puns. In fact, Valentine's might just be my favorite holiday. I've never viewed Valentine's as a strictly romantic holiday. It's just a day to think about everyone you love friends, family, partners, and even yourself! I mean, is there any another holiday where it's socially acceptable to give everyone you know a cheesy pun to express the love and joy you feel? It's also a holiday that revolves almost entirely around consumables like chocolate, wine, and flowers. Puns and consumables make it the ultimate Kathryn Kellogg holiday. So, let's talk about a few simple ways, we can keep this holiday waste free! My mother loves holidays. Every holiday at our house is an ordeal, and we have all the coordinating cloth napkins and table runners to prove it. Valentine's is clearly no exception. Every Valentine's morning, typically before school, my mom would do something special and it would always be red, pink, and full of hearts. I would typically find candy, fuzzy socks, cookies, lip gloss, or some festive pancakes waiting for me in the kitchen. I personally love celebrating, and think holidays are a great excuse to fuse extra joy into our day to day routines. If I have children, I'd want to do something special for them on Valentine's Day. In order to prevent trash from being made, I'd probably go for a festive breakfast with heart shaped pancakes. I'd fill a jar with chocolates bought in bulk, and tie a handwritten tag with an insanely clever, eye roll inducing, pun. "I love you a chocoLOT!" Valentine swaps at school are probably going to be the biggest zero waste offender. In elementary we would make cards and have a party with cookies, cake, drinks, chips etc. I'm not sure if school parties are still a thing? Ours were done potluck style where everyone would bring something for the party. I honestly think having a potluck could be a great way to celebrate with fellow classmates without creating unnecessary trash. I'd try stick to finger foods like the cookies that don't need a plate. Kids can be pretty messy so napkins would probably be necessary. If they were paper, they could be composted after the event! If you're going to be giving out Valentine's, I'd recommend getting a little creative. Little jars full of candies might not be the most practical, but I do love the idea of giving out fruit. One of the things I love about Valentine's day is the lack of pressure. I tend to keep it really simple with my friends. I hand make valentine's with, you guessed it, clever puns. If you want to go the extra mile, I'd include something handmade. Valentine's Day is another way to celebrate with experiences! Instead of giving each other gifts, invest in an experience you can cherish for years to come. This is going to be my first Valentine's as a married lady, and I'm pretty excited. I'll be making festive pancakes for breakfast, and, at a later time, we'll probably pop open a nice bottle of red wine and eat chocolate with glee. We're both major chocoholics, and I'll buy some of our favorites from the bulk bins. If you don't have access to bulk bins, a lot of chocolate is wrapped in paper and foil. Litterless did some heavy lifting by putting several chocolate bars to the zero waste test. I might have to write my own zero waste chocolate post just so I can expense some seriously delicious taste testing. Calories don't count if it's for business, right? I have a post on family planning coming out soon, but in the meantime you can check out my post for personal lubricant. Ethical lingerie has been on my radar since planning for my honeymoon. I have pieces from Azura Bay and Brook There. I'm totally in love with them! Brook There is based in Portland where Justin and I honeymooned. Brook There is more of an upscaled basic, but Azura Bay is a market place for sustainable undies offering all sorts of ethical brands including several with a little more va-va-voom. Of course, Valentine's is a great day to show yourself some love too! Justin just told me he will be working Valentine's evening. This means I get to eat ALL the chocolate. I'll probably light a few candles, take a bath, and read a book. I'm going to take some time out just to celebrate me! I deserve a relaxing night that doesn't involve answering emails. There are so many ways to celebrate yourself. Make yourself a wonderful dinner, draw a nice bath, snuggle up with a good book, a cup of tea, or pour yourself a nice glass of wine. Focus on doing something that fills you with joy and happiness. 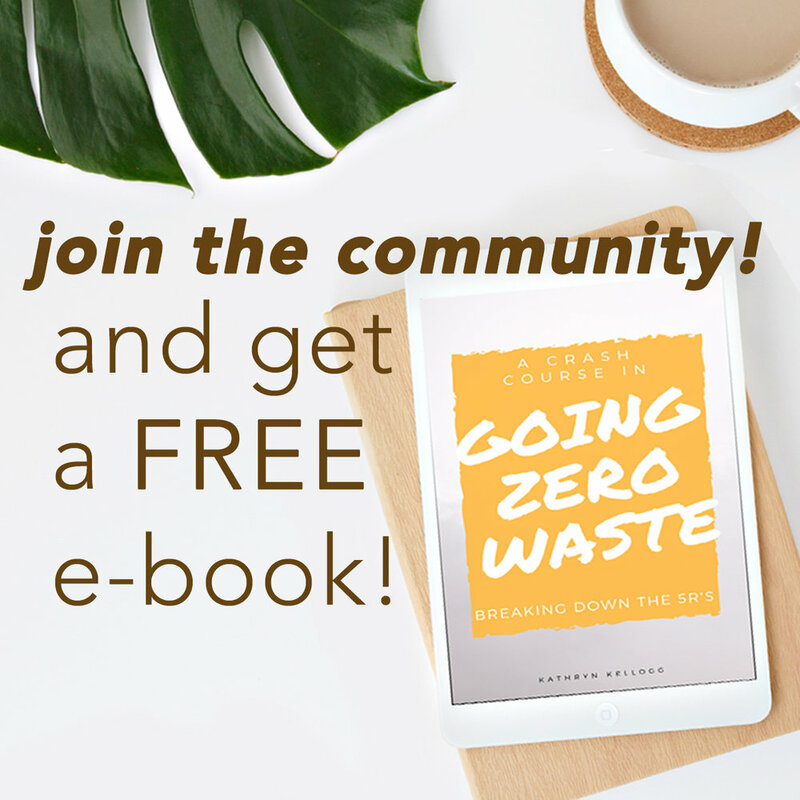 For more zero waste tips on self pampering, check out this blog post. How will you be spending your Valentine's this year?